BEN NORTON: It’s The Real News Network. I’m Ben Norton. I’m continuing my discussion right now with Max Blumenthal, who is an award winning journalist and the editor of the Grayzone Project. And I’m also speaking with David Greene, who is Civil Liberties Director at the Electronic Frontier Foundation. We’re talking about social media outlets’ crackdown on alternative media outlets, on pages that monitor police brutality, on antiwar pages and on the personal accounts that ran many of these pages. We’re speaking of the important political and social implications of allowing large social media platforms to effectively censor particular political expression. Max, let’s go back to you. You mentioned the Russiagate component to all of this, how since the election of Donald Trump there’s been this increasing fixation on fake news. Can you talk about Facebook’s crackdown, the relation that it potentially has to the past crackdowns we’ve seen on social media outlets specifically related to allegations of Russian meddling? This has expanded even to China. So for instance, Donald Trump, the U.S. president, recently claimed that China is meddling in the U.S. election. He provided no evidence for this. And we’ve also seen state media outlets targeted as part of this larger crackdown. For instance, RT, the Russian state media outlet has seen a heavy crackdown here in the U.S. and in Europe. The U.S. is now requiring RT to register as a foreign agent. And more recently, the U.S. government also required Chinese state media to register as a foreign agent. It appears that this is continuing to spread. Can you talk about these ties here between this Russia hysteria, social media an U.S. politics? MAX BLUMENTHAL: Yeah, well we know from the insider account of the Clinton campaign book called Shattered, that hours after Hillary Clinton’s defeat, her inner circle, including Robby Mook, who was basically in charge of her digital media campaign and communications, decided to blame Russia and blame Russian meddling for Donald Trump’s victory. Hillary Clinton’s first public address after conceding to Donald Trump was about fake news and the threat of fake news, whatever fake news is, I mean the definition has been stretched to the point of the sublime. But I can say with total confidence, if Hillary Clinton had won, we wouldn’t be hearing about Russian meddling and these takedowns of these websites would not have happened. This is the result of enormous political pressure that’s being put on Silicon Valley social media companies to clean up their platforms according to the wishes of the Senate Intelligence Committee and various elements within the government that are themselves under pressure. And that’s why we see the Atlantic Council, which is basically a proxy of Washington and NATO, being brought in. The Atlantic Council’s Digital Forensics Lab itself should be subjected to scrutiny about its own lack of credibility and its own publication of false news. This is a site whose researcher, Ben Nimmo, has repeatedly accused real, living, breathing human beings like the renowned Ukrainian concert pianist, Val Lisitsa, of being Russian bots. Not trolls, but bots. So, there’s are very sloppy, NATO-backed operatives who are likely behind this, but we have no proof. This is totally opaque. The people whose pages have been taken down have not received explanations about why they’re being disappeared from social media. And you mentioned our RT, this is the Russian-backed news site that was forced to register as a foreign agent in a sort of unprecedented move, as a kind of foreign lobbying organization as a result of the January 2017 Director of National Intelligence Report. That report was seminal in driving the narrative of Russian meddling. It was supposed to prove that Russian meddling had taken place, but what it did instead was feature eight pages of high school level media monitoring of RT that accused two shows that are no longer on RT of fomenting radical discontent. And I think that’s the smoking gun here. That’s the dead giveaway that the content of websites and media organizations is being judged and suppressed if it is considered radical or is found guilty of fomenting discontent. And that’s why I think so many sites that don’t fit into the kind of Democrat/Republican paradigm are being taken down. Are other people I know who have relied on Facebook to promote their own videos, we’re talking about independent media professionals, tell me that their following has been capped. They can’t obtain any more followers, and that what they attempt to disseminate on Facebook’s platform is being suppressed internally through Facebook. So, what we actually need to see are whistleblowers come out of Facebook and explain exactly what’s going on. I’m surprised none have. 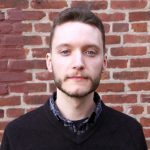 I don’t know if there’s any room for any FOIA requests here, but it’s pretty clear that we’re witnessing a campaign of political suppression, and it’s based entirely on the narrative of Russiagate, and as you and I have been saying, Ben, since the beginning, anyone on the left who attempts to reinforce the narrative of Russiagate is going to experience blowback. And we’re seeing that right now, it’s hitting the left in a big way. BEN NORTON: And rally quickly, Max, before we go back to David, I’m wondering if you could just briefly talk about – we’ve seen several news outlets, including the Electronic Intifada, which is a pro-Palestinian news website, we’ve seen that they have not been able to take out ads on Facebook because Facebook claims that it no longer allows political ads, even though there are many other political organizations that still have ads. But we’ve seen specifically the Electronic Intifada, a news website, has numerous ads rejected from Facebook. And they were just trying to promote some of the reporting they’ve done. And we’re going to briefly comment on that. MAX BLUMENTHAL: Yeah, well I’ve experienced the same thing. I haven’t publicized it, probably just because I’m lazier than Ali at Electronic Intifada. But basically, Facebook will invite me to boost or publicize a post, promote a post from the Grayzone Project that’s performing well, and I’ve attempted to do that. I’ve paid the twenty dollars fee, then Facebook actually asked me to apply for a code that I received as a piece of physical snail mail that provided me with the code. Then I put the code in, I went through all kinds of identification processes including providing a photograph of myself, my own driver’s license. I did everything necessary. I did this on multiple occasions, and every single time they rejected my ad on political grounds. So, this isn’t just happening to one or two sites, it’s happening across the board. And then, meanwhile, if you look at the sponsored content on Facebook, a lot of it is from the sites that are political in nature and political organizations, including super PACs. And one other point I want to make is that Facebook has mentioned clickbait as a criteria. Well, Ben, we used to work at Alternet, and Alternet was purchased by RawStory. RawStory is the definition of a clickbait website. All they do is clickbait; their headlines are pure clickbait. So, when are they going to be taken down? Probably never, because they fit neatly within the kind of Democrat/Republican political paradigm that’s seen as acceptable, especially around election season. BEN NORTON: David, let’s go back to you. I want to talk more about Facebook and its political role, but also the legal status of all of this. Legally, it’s not clear what Facebook is doing and what it cannot do. 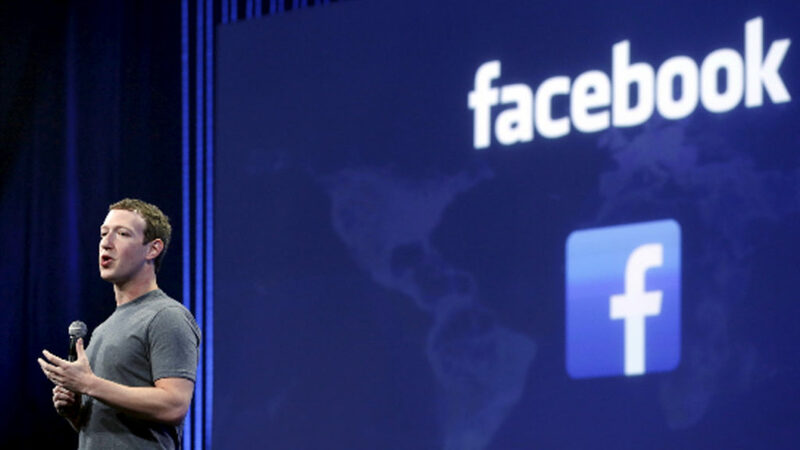 So, Facebook is of course a private company, although we’ve seen increasing scrutiny. Specifically, we saw Mark Zuckerberg give testimony. I’m wondering if you could just comment on – of course, there’s no question that because it’s a private company, Facebook does have a right, I guess legally, to control what content is on its platform. But maybe that legal interpretation is incorrect. And even if it’s not, what about the political and social implications of allowing this private company that really has a kind of monopoly on social media, it has billions of users throughout the world, what are the implications of allowing this company, without any regulations, to decide who can and who cannot use this platform? DAVID GREENE: As a matter of law, I do think that Facebook, certainly under U.S. law, has a First Amendment right to curate its own site. It has pretty much unlimited legal ability, at least constitutional ability, to do so. And I actually think that’s fairly well established. And I think that’s correct, I don’t think we want to be in a position where we’re giving government’s regulatory control over social media platforms. And so, I don’t want to go there in terms of how do we solve this problem. What we suggested, what we’ve been active in suggesting, we have been among other groups doing so, is that Facebooks and the other large platforms, when they do content moderation, do it within a human rights framework and do that voluntarily. And we’ve been part of an effort, and there have been a few, but we’ve been part of one called the Santa Clara Principles, which is trying to develop a very specific human rights framework for how this happens, for what you do, how clear you make your standards, how you set your rules, how they’re easy to understand, how you are very transparent with how many sites you take down, when you take them down, for how while you take them down. And it’s not just takedowns. It’s other things, like are sites demonetized, are they punished or limited in any way? We want there to be appeals process, so nothing is taken down until someone has a way to work through a system, so they can find out why they’re being taken down and challenge that and have that heard in some way. And so, we’re working on developing a set of voluntary principles like that and we hope there will be pressure, not governmental pressure, but pressure by the users to adopt these things. One really important thing that happened last April was that the UN Special Rapporteur for Freedom of Expression, David Kaye, issued a report on this very subject, where he talked both about the danger of having governments involved in content moderation, because that will only go wrong, and the dangers of platforms doing it themselves in a way that is haphazard and unclear. And he, too, endorsed a set of voluntary practices that that mirror human rights conditions. So, that where I think we need to go and that’s certainly where we’re putting our efforts into. BEN NORTON: Well, thanks so much for joining us. We were speaking with David Greene, who is a Senior Staff Attorney and the Civil Liberties Director at the Electronic Frontier Foundation. 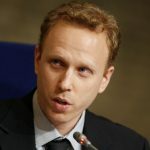 And we were also speaking with Max Blumenthal, who is an award winning journalist and an author of several and he is the founder and editor of the Grayzone Project, which you can find at grayzoneproject.com. Thanks so much for joining us here.